Several technical issues: animation glitches, frame hitches etc. I am madly in love with a couple of the performances in here and there's a lot of simmering potential in others. Distracting from these performances and a generally well crafted story are the mechanical failures that, while generally just irritating rather than catastrophic, continue to be unacceptable. Overall however, while the technical flaws are frequent distractions, they can't quite detract from what is a great Batman experience. I may not like the Telltale gameplay, but I respect the hell out of their storytelling. 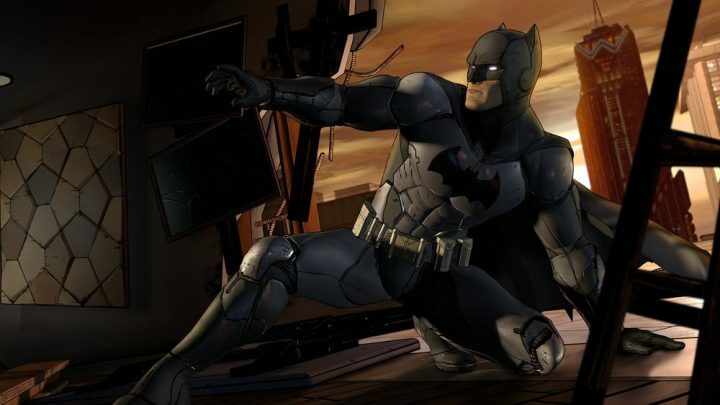 Telltale’s Batman is an awkward proposition for me, struggling on a core divide. You see, I absolutely adore the world of Batman but I really do not gel with the mechanics of Telltale’s games. Batman is hands down my favourite superhero, possibly my favourite fictional character full stop, and the chance to inhabit his world through the medium of a video game is basically the ideal in terms of format matching content. We’ve certainly been lucky with that match as well, with Rockstar’s Arkham trilogy really showing off what it felt like to be the Batman, convincingly portraying the world of Gotham and the characters that inhabit it. So, in theory, Telltale’s game, given their reputation for storycraft and the possibilities of applying that talent to characters I love should be instantly appealing to me. Unfortunately I find that the mechanical aspects of Telltale’s products are almost unbearable. The combination of point-and-click with QTE events does nothing so much as annoy me and the fact that it is all underpinned by an engine that, somehow, clearly cannot handle the events occurring is absurd. I played through The Walking Dead Season 1 but I ended up watching playthroughs of Tales from the Borderlands and Wolf Among Us. Going into Batman was thus somewhat of a tentative prospect for me. For something that is so focused on story and immersion, there is something very distracting about suddenly being thrown into awkward point-and-click gameplay or quick time events that constantly display Telltale’s distinctive hitch between scenes/frames. Batman particularly suffers from these distractions. Despite supposedly running on a new engine, there are still a lot of technical issues. I was fortunate not to have issues to the level that some have experienced, I never had a full crash for example, but there were way too many animation glitches and the classic Telltale half-second of lag between scene changes continued to be prominent. 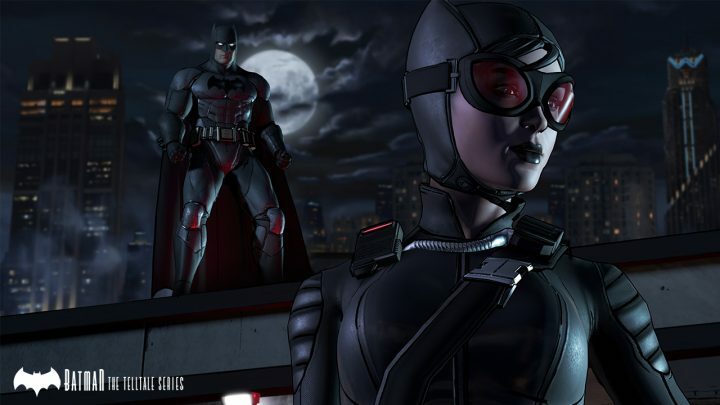 Now admittedly, the mechanics didn’t bother me as much as they did in some games, Telltale are fairly creative with how they make use of their traditional gameplay to fit with Batman’s style. The detective bits are a nice nod to an element of the character that isn’t always that well portrayed although they do feel a little clunky and could reasonably just be done with a cinematic in which I see Batman do the work without any involvement on my end. More effective is the way in which you can plan out your attacks in several scenes, allowing Telltale to do more than just QTE while actually playing into the idea of Batman’s tactical side. Overall however, I remain unconvinced of the mechanical underpinnings of Telltale’s games. For gameplay that’s reasonably simplistic they encounter way too many technical issues, even if usually fairly minor, and there is just an excessive amount of the action which I would have preferred to just see happen rather than have to occasionally swipe in a direction or press a button. Story-wise, Batman is a different experience entirely. Well, almost. Broadly, the game manages to tell a story that is both distinctly Telltale’s own but also fits within the mythos and expectations of a Batman tale. The problem is that, as a major Batman fan, there are several changes and fresh takes on the characters and relationships that don’t quite hold true for me. While others are better played, there are what feel to me like marked flaws in certain character choices. Without delving too much into spoiler territory, the way the main villain’s story is handled feels very reliant on a twist that doesn’t play quite right while also avoiding explaining key parts of how that villain came to be. The origin reveal in particular felt almost tacky to me in how much it relied on being a surprise and not actually having much of substance behind said twist. Established characters aren’t spared somewhat dodgy characterisations either. 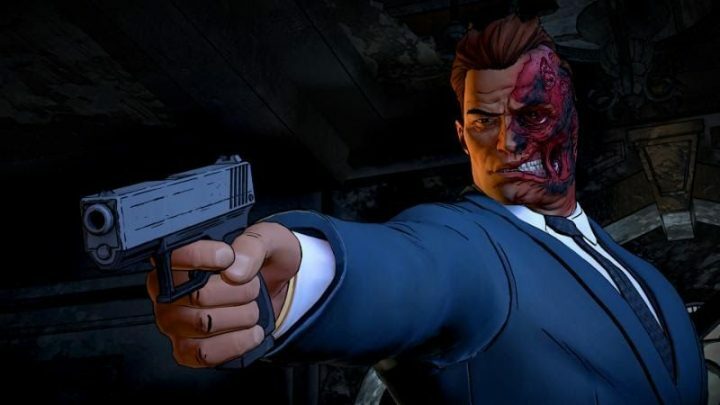 Although stalwarts like Alfred and Lucius land on the money, I felt like Harvey Dent had a far too drastic divide drawn between his two halves with Two-Face reaching levels of psychosis that I never really thought of him having. He’s certainly crazy but in Telltale’s version, at least in my playthrough, he felt truly off the rails. However, that is not to say that all is doom and gloom. The Penguin undergoes a rather distinct transformation in regards to backstory and ideology but it works. It feels like a far more natural change that works within the context provided and the way in which I imagine the Penguin operating. Perhaps it’s because he’s a slightly less defined character in my mind, beyond certain basics, and so feels less sacred in regards to changes. It is Catwoman though who possibly comes off best. Wonderfully played by Laura Bailey, this is possibly the truest portrayal of the character from comic to game. The interactions as both Selina and Catwoman with Bruce/Batman are wonderful and perfectly capture the playful relationship that I want between the pair. There’s a reasonable amount of sway in how that relationship can play out but I felt compelled by the performance to get as much of that classic entanglement as possible. This is not necessarily a Selina Kyle that will surprise you but it is certainly one that will satisfy you. Equal parts strong-willed, sassy and capable, this is a Catwoman that takes no nonsense but is plenty happy to lead you into a whole mess of trouble. In essence, it’s exactly the Catwoman I always want to run into whether in the comics or in any other format. It’s a blessing of a performance and some on point writing. There is, of course, one character we really need to talk about. The man himself, the Bat. Writing a Telltale game can’t be easy, particularly for a character that has to encompass decades of different writers and characterisation. To give them their dues, they do an admirable job for the most part. There’s a fair range of Batmans you can play here, whether it be the raging brute of The Dark Knight Returns or something more akin to Scott Snyder’s recent take on the character. The greatest strength though is probably the duality between Bruce and Batman which the game handles particularly well, often offering you the choice of who you wish to enter a situation as. The fact that our lead is played by the ever wonderful Troy Baker probably goes some way towards selling the range of the character quite so well as the game does. Full credit though to whichever writers had to work out every possibly facet of Batman that might need to play into this story. It must be noted however that, as much as they did manage to get in and as hard as I’m sure it is, I felt several times that I didn’t have the option to make a choice the way I see my Batman handling the situation. It’s perhaps a minor, and quite possibly niche to me, gripe but I felt like more than a couple of decisions were taken out of my hands to force me to make less than ideal decisions. Arguably this is in order to hype up the dramatic element of certain scenes but it still kind of grated. Telltale’s Batman is a very mixed game for me. 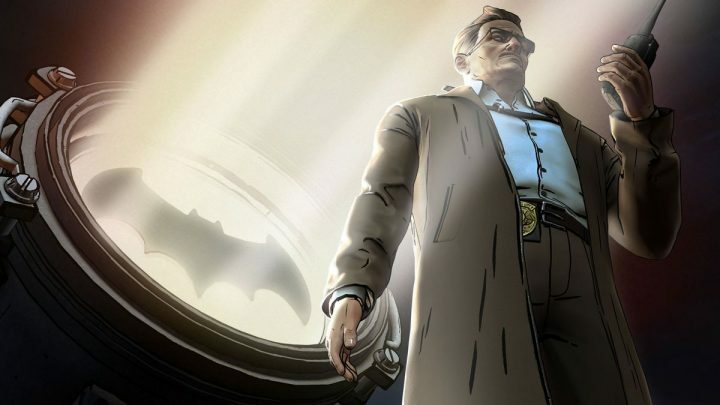 The story, for the most part, is brilliantly told and though it may not necessarily gel on all levels with the way in which I see Batman and his world, I admire the bold choices that Telltale make with their presentation of the characters. Some of the twists and turns worked, others didn’t quite hit, but it’s important to respect that this isn’t a slavish homage to other portrayals and that it does try to do its own thing. I am madly in love with a couple of the performances in here and there’s a lot of simmering potential in others. Distracting from these performances and a generally well crafted story are the mechanical failures that, while generally just irritating rather than catastrophic, continue to be unacceptable. Overall however, while the technical flaws are frequent distractions, they can’t quite detract from what is a great Batman experience. I may not like the Telltale gameplay, but I respect the hell out of their storytelling.